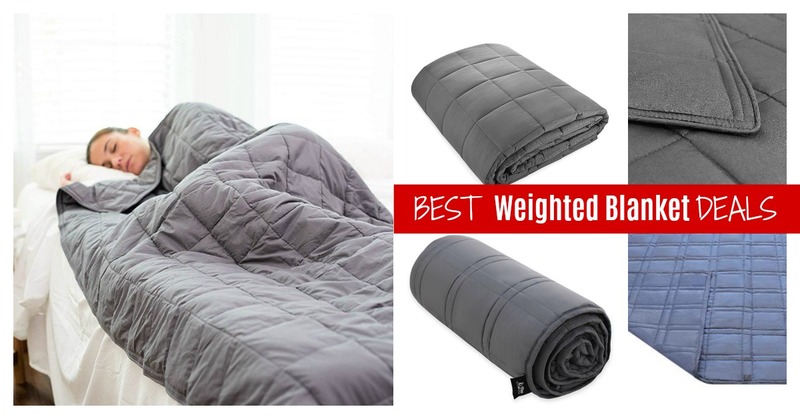 Weighted Blanket (15 - 20 lb) Deals (HURRY) Save Big! Home Amazon Weighted Blanket (15 – 20 lb) Deals (HURRY) Save Big! Weighted Blanket (15 – 20 lb) Deals (HURRY) Save Big! Update: (Still available with limit 5!) This Amazon deal is the LOWEST we’ve seen when you use promo code WHWB40OFF1 at checkout. Been wanting a Weighted Blanket? We found several (NEW) Amazon deals for you! Hurry and get the WarmHug Weighted Blanket (15lbs，48″x 72″ for 140-150lbs Individual)| Premium Cotton with Glass Beads today for only $57.90 as low as $34.74 from Amazon when you use promo code WHWB40OFF1 at checkout. This product has many variations at different prices! Quickly see them all here. Hurry and get the Pine & River Weighted Blanket – Fits Queen-Sized Bed (60″x80″ – 15 lb) | 100% Breathable Percale Cotton today for as low as $49.99 from Amazon! Or, choose the 20 lb. Queen Size for just $59.99! If you’d prefer, this 48″ x 78″ – 15 lb Weighted Blanket is $49.99. Buy the Pine & River Weighted Blanket – | Fits Queen-Sized Bed Top – (60″x80″ – 15 lb) | Enjoy Quality Rest Anywhere | 100% Breathable Percale Cotton | (Perfect for 140 lb Individual) from Amazon.